Fast growing tree, wide spreading and freely branching. Deep green leaves are composed of 8 - 20 pairs of elliptic oblong leaflets. 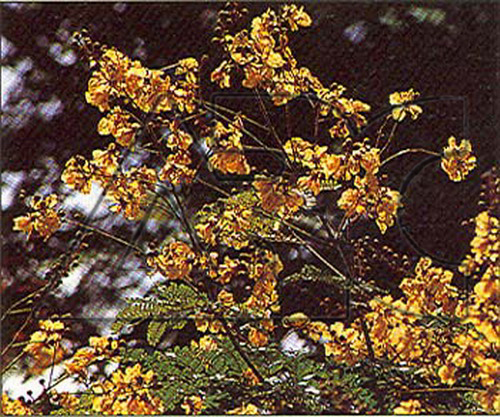 In summer, produces ascending racemes of fragrant bright yellow flowers and the plant is known as yellow flame.